BROWARD COUNTY – With the controversy that arose in Colorado this past week, which made ripples nationwide regarding the potential of delegate selection rigging within the Republican Party, Florida is the next state that is coming under heat for its potential to not allow constituents the right to vote, and instead to place party insiders in as delegates. The Republican National Committee has denied accusations of delegate stealing in other states, including Colorado, which candidate Donald Trump has described to Reuters as a “crooked deal,” when rival Ted Cruz took Colorado with delegates who were his supporters. Some Trump supporters have noted that they have received emails from the Ted Cruz campaign asking for updated information in order to become delegates, as well as solicitations asking the email recipients for $35 each for the Cruz campaign. CNN has confirmed that buying delegates has become a practice and that individuals can accept “gifts” from political PACS. A member of The Trump Army, the largest members only group on Facebook in support of candidate Donald Trump with over 11,000 members, posted the list of the Delegate Selection Committee in South Florida for Broward, Miami/Dade and Palm Beach Counties. Click here to read about Day on the Republican National Committee Website, including having served under Jeb Bush when he was Florida’s Governor on the Committee for Election Reform. 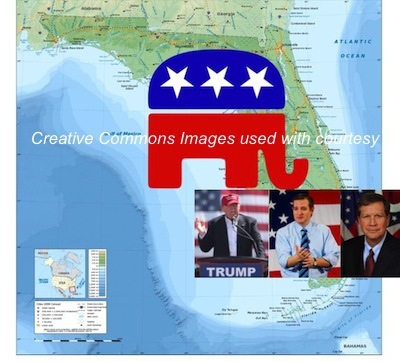 10NEWS in Tampa Bay noted that Florida is an important state in the November election, and can also shut Trump down in July’s convention in Cleveland, if he is unable to snag all of the delegates prior to the convention. Over 500 have applied for delegate spots. And while Trump has swept Florida already, stealing it away from Marco Rubio in the primary, who then quit the race, those who are weaving their way through the delegate process and who are interviewing, are noting what they consider a slanted team of delegates already chosen, especially in the above districts. The Miami Herald reported the Presidential Convention Delegates already chosen, click here for the results as well as the alternates. In Florida’s 20th Congressional District, those chosen so far are not Trump supporters. Among them: Rico Petrocelli, who served on Broward County’s Campaign Leadership Team for Jeb Bush. Another is Roger Gingerich, who reportedly does not support Donald Trump. Daniel Diaz is another who is a friend of Bush’s and has reportedly said that he would not support Trump. Diaz already served as Bush’s campaign manager. In the 21st Congressional District, Robert Sutton, one of the delegates chosen, had a connection to the Bush campaign, with his spouse reportedly on that leadership team. But Sutton, however, helped to coordinate former Presidential Candidate Dr. Ben Carson’s appearance at Fort Lauderdale’s Lincoln Day Dinner. The day of that dinner, Carson announced his endorsement of Trump. 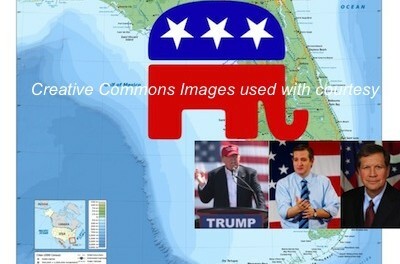 (Cruz has been a past speaker at Palm Beach County’s Lincoln Day Dinner). Gay Gaines has noted her previous support of Rubio and John Kasich. But she told the Palm Beach Daily News that she and her husband Stanley “never dreamed in 2015 that Donald Trump would endure. However, the fact is, he has and the reason is people are revolting against the establishment.” In her interview, Gaines quoted a Wall Street Journal article in which the “unprotected” were pushing back against the “protected” and said, “I believe Donald Trump could chop Hillary Clinton into mincemeat and defeat her handily.” Gaines also told the Palm Beach Post that she feels that Kasich is “one of the most qualified people possible to be president,” and was who she cast her vote for in the primary. Edward Pozzuoli, the third delegate in the 22nd Congressional District was the former co-chairman of Jeb Bush for Governor. The next group of delegates for Florida will be selected on Saturday, April 16 in Hialeah for Congressional Districts 23, 34 and 25 at the Oliva Cigar Company, 13955 NW 60th Avenue at 12:30 p.m. All are encouraged to attend. 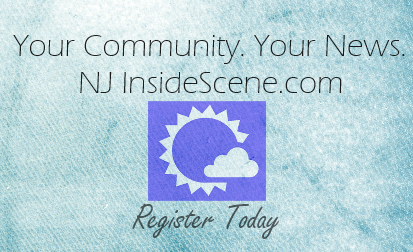 Stay on the scene with Inside Scene. Click here to follow all of our stories on Facebook.